Super excited to continue sharing some of our favorite books. You will notice that these next few are cook books…sorry but we kind of are obsessed, what can we say? I promise though they all are worth having on your shelf! 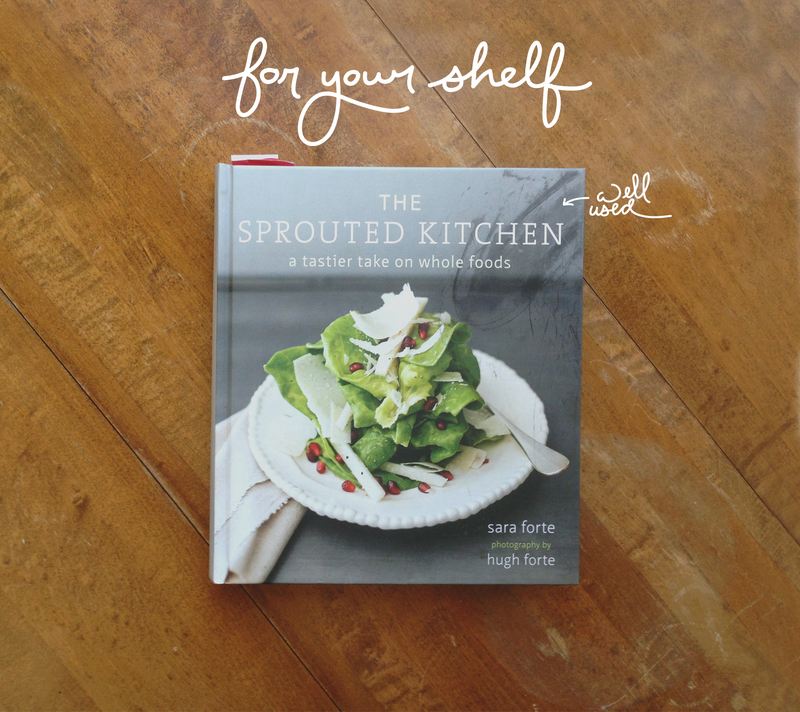 For this week’s For Your Shelf I am really excited to feature Sara and Hugh Forte’s cookbook based off their blog The Sprouted Kitchen. If you have not read their blog I highly suggest heading on over there. Mike and I are big fans of Sara and Hugh for many reasons, but one of them is because they are a husband and wife working together to create something beautiful as a team. Though we have never met, Sara and I have only exchanged lots of chats through email, I think we would be pretty great friends when we eventually meet up. 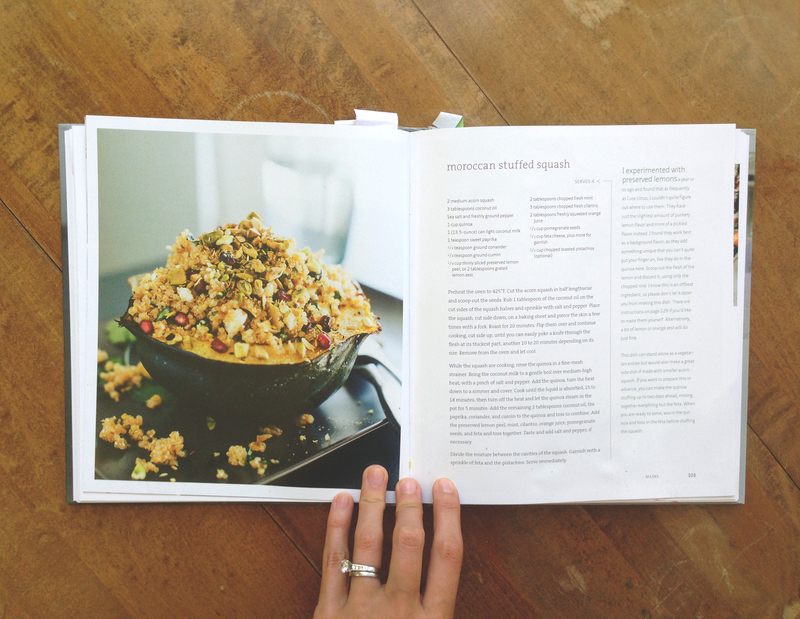 I was over joyed when Sara and Hugh put out their first cookbook, titled after their blog, The Sprouted Kitchen. In fact it came out just a few months before Christmas and I think everyone I was bought gifts for, got one. Sara has developed not just amazing food, but has such intimate and sweet stories that make them just that much more unique and special. I love knowing the story behind as recipe as I cook it. At this point Mike and I have cooked almost everything in the book and as you can see we have bookmarked, labeled and bent the corners of our regulars. We have many regulars, but our favorites are the Moroccan stuffed acorn squash, the honey almond butter, and the roasted plum crostinis. I just love how Sara’s recipes so simple yet so beautiful. If you are like us, and enjoy eating yummy food (like really yummy food), but don’t want to give up the routine of eating healthy then I suggest picking up this book. You can get more recipes online, but all of these are unique to the book. Sara also has tons of great tips and ideas. Hopefully your’s will end up looking as well “loved” and used as our’s does. 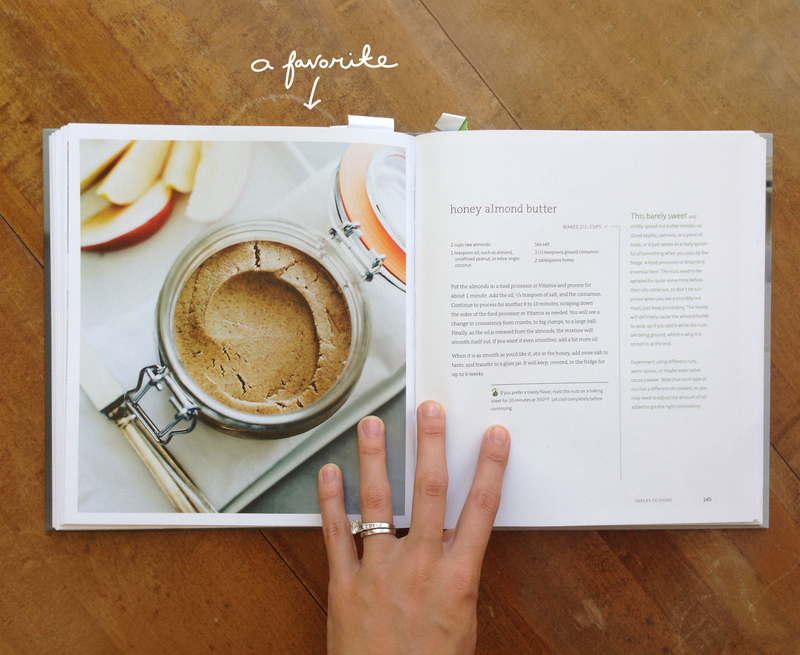 It truly is our favorite every day type cookbook. The dishes are impressive, but not difficult or unhealthy. That’s my kind of cookbook! I always love getting cookbook and blog suggestions! It’s always nice to find another blog to try out. my dearest! what a lovely lovely post. I am excited for the day we get to be real life friends 🙂 thank you a million times for your sweet words. Some day we shall cook together.